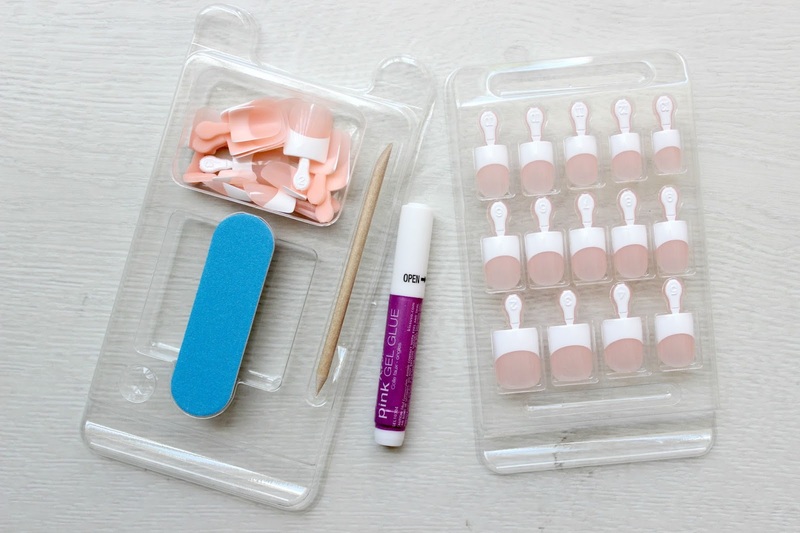 The packet contains 28 nails, a nail file, a cuticle stick & pink gel glue. 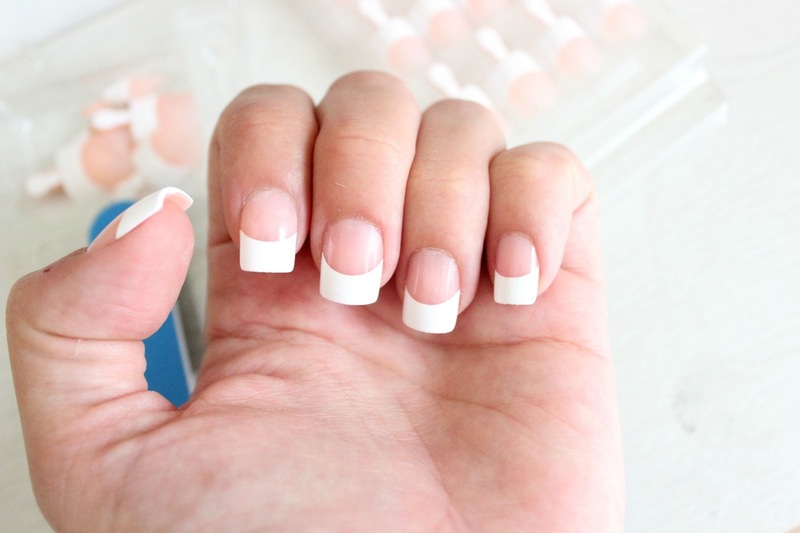 One thing I did like about these nails is that they come with an 'easy-apply tab', which makes application so much easier and just bend off once the nail is applied. I certainly wasn't a fan of the overall look of the nails, and I did end up painting over them, but in terms of lasting power I was pleasantly surprised. They lasted 4 days until I lost an index finger (which I reapplied) and I got another day before I lost a couple more so I removed them all. For a pair of false nails, I don't find that to be too bad, especially considering I'm constantly washing up/changing nappies etc. 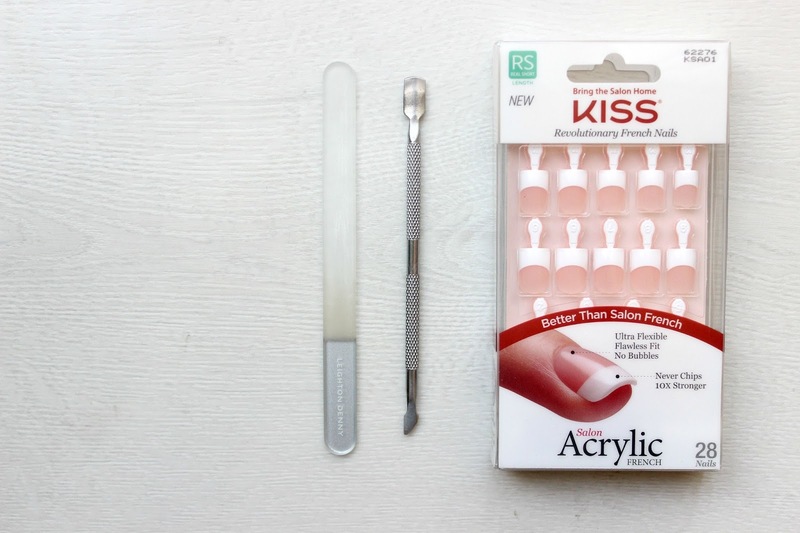 KISS Salon Acrylic Nails are available in Boots for £7.95, and FYI, selected KISS lash and nail products are currently on buy 1 get 2nd half price here. What do you think of the chunky French look?